All American Derringers are equipped with a manually operated Hammer Block type safety. The safety automatically disengages when the hammer is cocked. 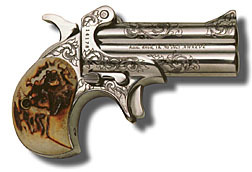 The Legendary M1 American Derringer with the beauty of custom engraving. 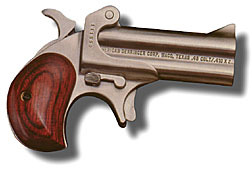 This is an heirloom quality work of art, as well as an reliable firearm. For more information on engraving, click here.